Proverbs 9:9 "Instruct the wise and they will be wiser. Teach the righteous and they will learn even more." Graduates from NCA develop a well-rounded portfolio by the time they are applying for college. While faith, leadership, fine arts, and athletic development are cornerstones; a rigorous, college track academic program is the pillar. Each division (elementary, intermediate, jr. high school and high school) has an academic program that enables students to develop the resources to become independent critical thinkers, decision makers, and leaders. Administrators and our professional team of educators work hard to collaborate and utilize ongoing assessments of student achievement to drive and improve on student success. All students will be issued textbooks that are the property of NCA. Some textbooks are consumable; however, others are texts that will be used from year to year. All non-consumable textbooks must be covered by the end of the first full week of school. Book fines will be assessed for damaged or lost books. A classroom supply list will be furnished so that appropriate supplies may be purchased prior to the start of the school year. The Pride Yearbook is not included in the book fee and will need to be purchased separately. At New Covenant Academy, the partnership between the family and the Academy is considered to be vital to the student's overall success. 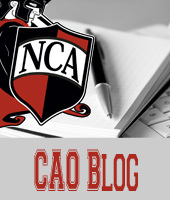 Therefore, NCA has instituted an online password protected system, by which parents may log on to their students online record and be provided on-the-spot information regarding grades, homework assignments, and important class information. Additionally, teachers welcome the opportunity to visit with parents regarding their student's progress via scheduled parent/teacher conferences, as well as phone calls and email exchanges.